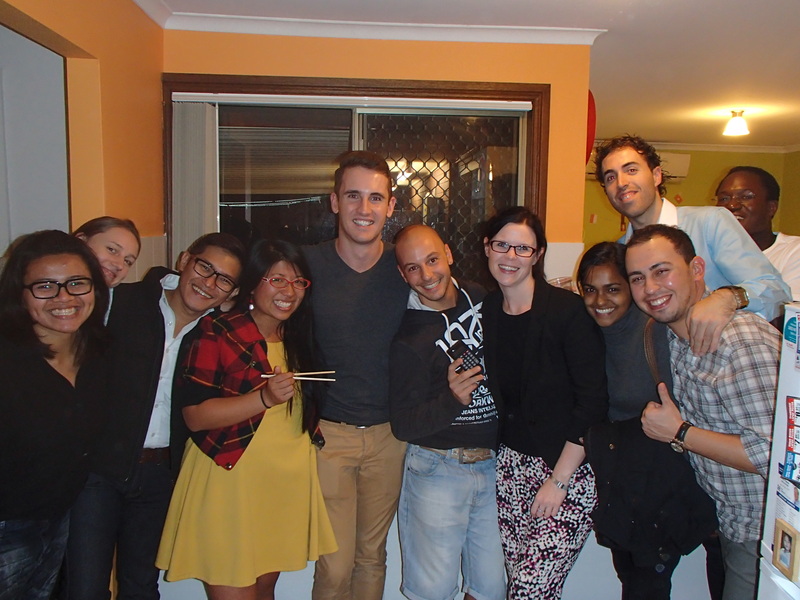 Tonight we kicked off the year long BISA Potluck celebration with Southeast Asia hosting and it was a huge success! There was hardly any food left if that tells you anything. As Brisbane International Student Ambassadors, we are always experiencing and learning about different aspects of Australian culture and thought it would be nice to learn about each other’s cultures. We decided that the best way would be through food in the form of a potluck. Some of our Ambassador friends had never heard of a potluck so we shared how it was a gathering of people where each person or a group of people contribute a dish/dessert/beverage prepared by the person or group of people, to be shared among everyone present. The first potluck of many was a huge success! The hosts this time were Dhina and Neysa (Indonesia), Ha (Vietnam), Ploi (Thailand), Fong (Cambodia), and Paul (The Philippines). I didn’t realize that had chefs in our group. 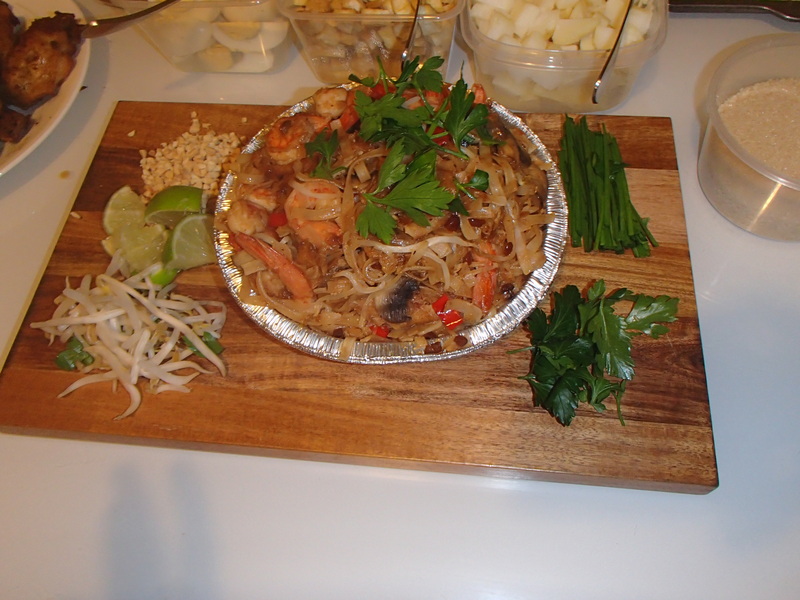 Everyone showcased a dish that represented their region or country and Ploi made pad thai with shrimp that you can see below. Her presentation is always top-notch. If you check out her Facebook posts, they are of mouth-watering dishes that make you hungry even if you just finished a meal! I included the menu for you all to see what creations were made by our very own Southeast Asian BISA chefs. I loved learning about the various dishes and how much work it takes to cook them. 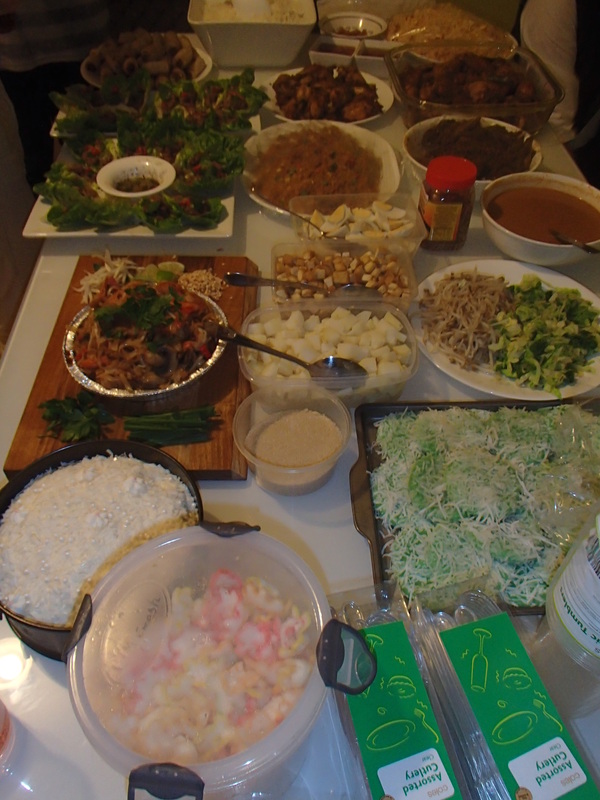 For example, to make the Vietnamese cha gio, you have to first mix all the ingredients of pork, noodles, and mushroom (you can put additional items depending on taste) together and then wrap them in a spring roll wrapper. It is important to note that when you are wetting your spring roll wrappers, you should use a touch of vinegar to keep the spring roll from busting while it is frying. After that, you fry them in a frying pan in group of 10 depending on the size. This dish represents the North Vietnamese style of cooking which I had never known before because my family cooks more southern Vietnamese dishes. I can’t wait to share this new recipe with my family. Next hosts for the potluck will be the Americas! I will be one of the host and contemplating what represents North America the most. My Filipino friend thinks buffalo wings. What do you guys think? If you have any suggestions for I should make for the potluck to represent North America, leave it in the comments. Hope today’s post doesn’t make you too hungry!